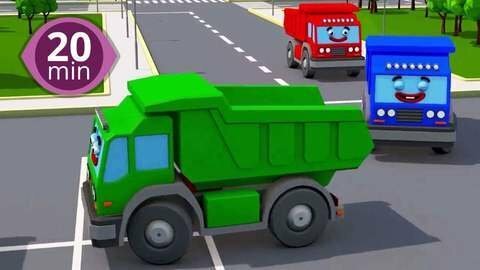 Trucks and cars feature in our 20 minute non-stop car cartoon. Watch as excavator changes color from white to green and police car changes from white to blue! All the while, kids can enjoy our funny songs like Finger Family as they learn colors. Watch full episodes online for free at SeeZisKids.com.